After the fall of grace in it's stock price, PC Jeweller's management has announced a Buyback of 1,21,14,286 equity shares at a price of Rs 350. This buyback amounts to Rs 424 Crores (roughly 3.07% of the paid-up equity capital of the company). As per the FY17 Balance Sheet, PC Jewellers carried a Cash & Bank balance of Rs 1,191 Crores. 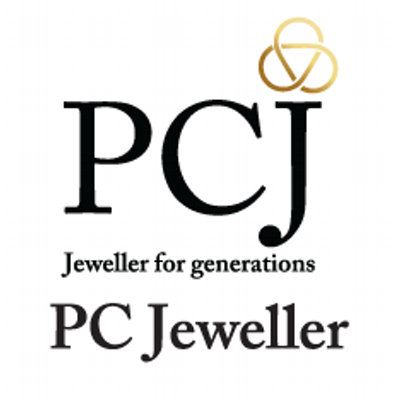 In the last financial year, PC Jewellers had repaid nearly Rs 270 Crores of debt and this year they are utilising Rs 424 Crores of cash for buyback. The stock price currently trades at Rs 199 and the buyback price of Rs 350 represents a 75% premium over Friday's closing price. With a 75% return on the plate, should investors use this opportunity? Let's decode the numbers. Roughly 7.25% of the public holding is available for the buyback as promoters / promoter groups are not participating in the buyback. Now as per SEBI guidelines, 15% of the buyback is reserved for retail investors, if the buyback is through the tender offer route. ( < 2 Lakhs of holding ). Now, we assume that the number of shares held by retail category is equal to the number of shares held by those holding less than Rs 2 Lakhs of nominal value. Our estimate is that for every 100 shares that you own, 20 will be eligible for buyback. 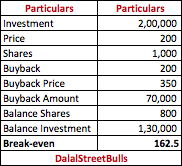 So should you invest ~ Rs 2 Lakhs in PC Jewellers for a buyback profit arbitrage? We recommend investors not to participate in the buyback if they have no positions in PC Jewellers. The risk associated is very high as the stock can probably fall 20% from current levels.